A strong, clear, non-staining professional-grade adhesive for mounting all black-and-white and color photographs. 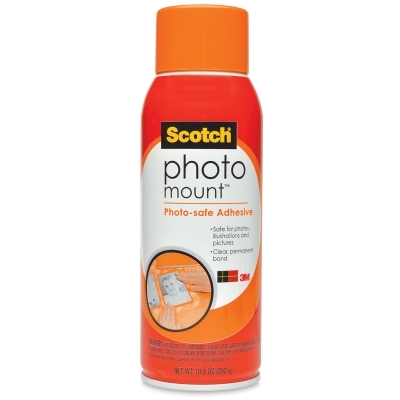 Apply Scotch Photo Mount to one or both surfaces. The bond is immediate, very strong, and permanent. 4.2 oz (119 g) 10.3 oz (292 g) net weight. ® 3M is a registered trademark.™ Scotch is a registered trademark of the 3M company. ™ Photo Mount is a trademark.